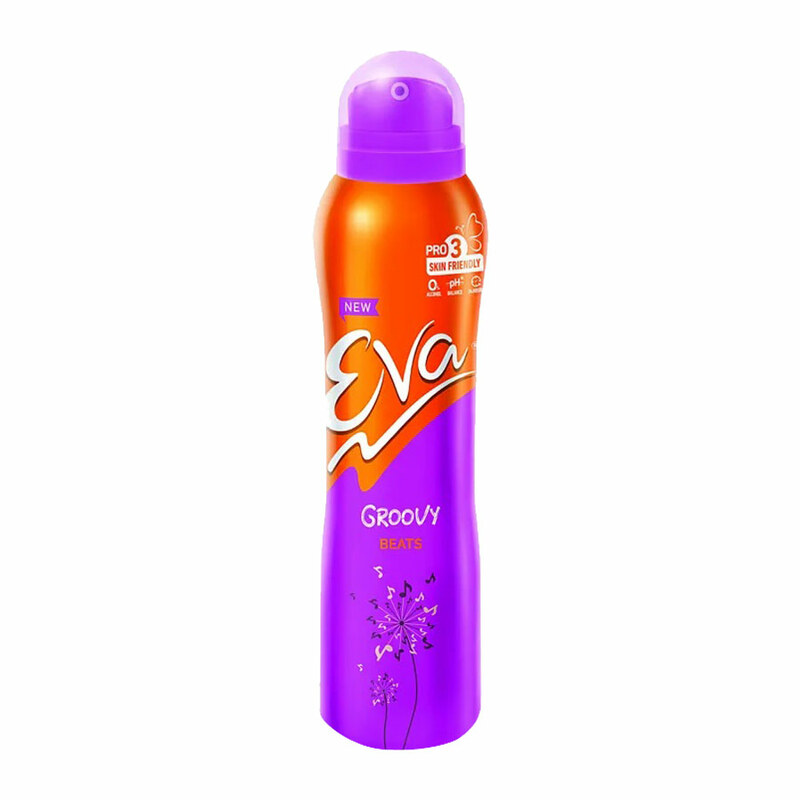 Eva Eva Groove Deodorant Buy Eva Groove Deodorant For Women @ Rs.125 with free shipping and cash on delivery available with 3% Discount. 100% Genuine Eva Deodorants Product #: Regular price: Rs.130INR125(Sale ends 01 January ) Available from: DeoBazaar.com Condition: New In stock! Order now! Explore Eva | More Aerosol | Why shop from us? Eva’s range of alcohol-free deodorant is gentle on skin and its unique formulation inhibits odor-causing enzymes by balancing the skin’s natural pH level. Its moisturizing formula keeps your underarms soft and smooth. It effectively prevents body odor, keeping you fresh and active all day long. Eva, by TTK Healthcare, is among the country's popular personal care brands. The Eva bouquet of products include Deodorants, Talcum Powders and Skin Care products.